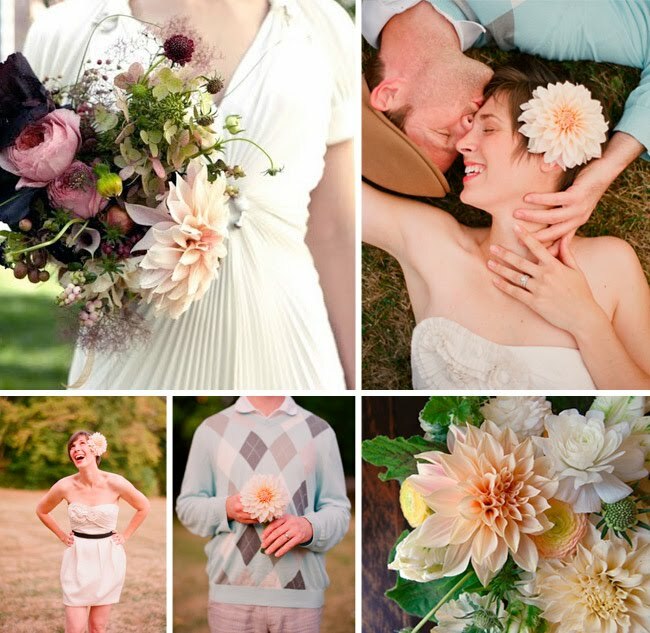 Memorable Wedding: Four Reasons Why Dahlias Are the Perfect Wedding Flowers! 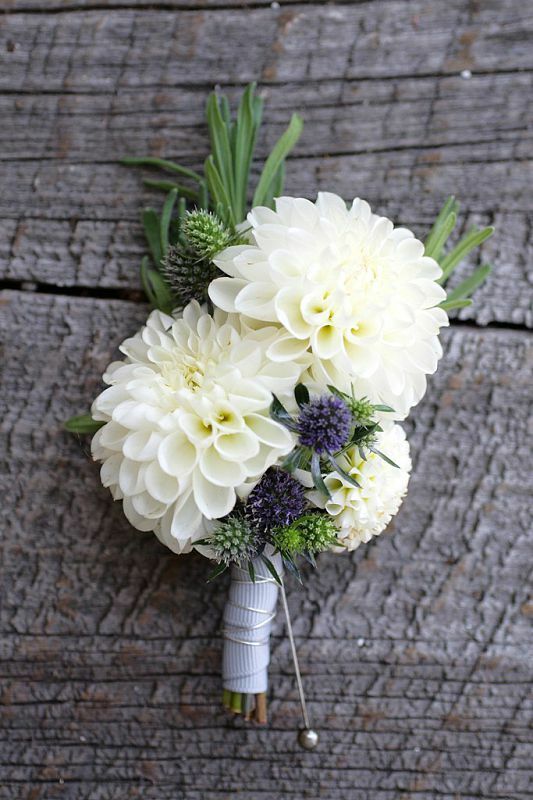 Four Reasons Why Dahlias Are the Perfect Wedding Flowers! It's good for the planet to use things in their season. 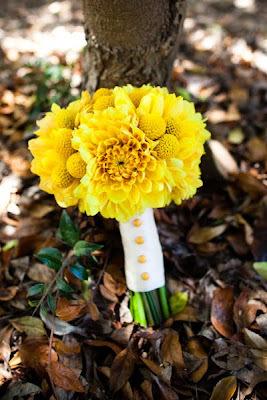 Dahlias just happen to be at their prime in the summer and early fall, and August is second only to June in popularity for weddings. 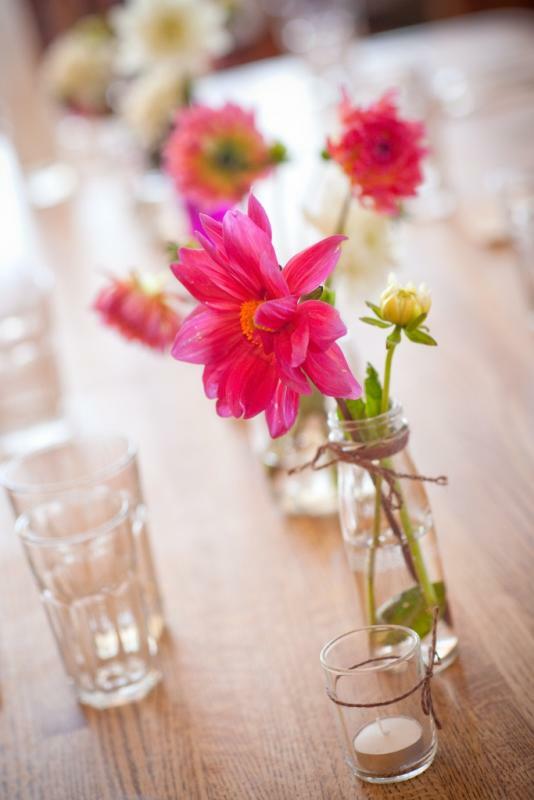 This means that even in the more northerly parts of the country, dahlias will be in season for a lot of weddings. And they bloom through September until the first frost. If you're planning a late-summer wedding, there's time now to choose and plant dahlia tubers for a garden wedding or reception. You can plant dahlias for your wedding or reception site AND have glorious bouquets for less than it would cost to have more traditional flowers. 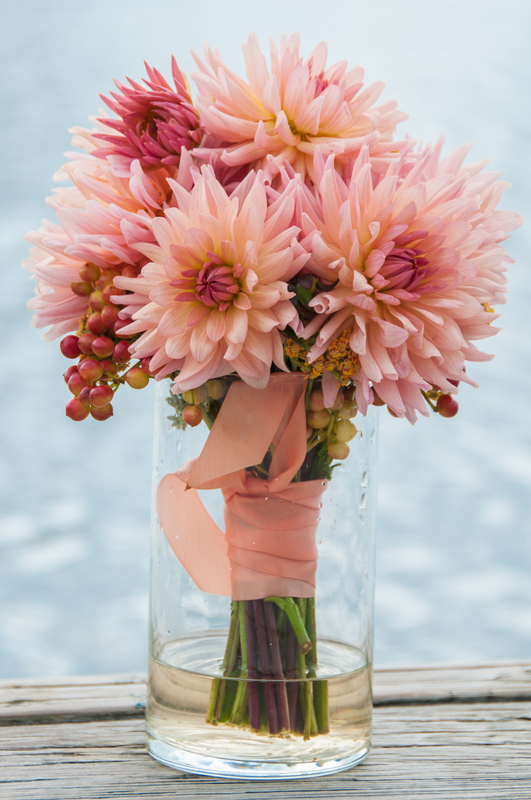 Most florists are happy to work with dahlias, which have great substance, and are generally more showy and far less expensive than other flowers. If you're a do-it-yourself person, you can stretch your wedding budget even farther. And if you don't garden, chances are you're near a good dahlia source and you'll have the pleasure of knowing your flowers weren't shipped from some other hemisphere. 3. Dahlias Come in Almost Every Color. 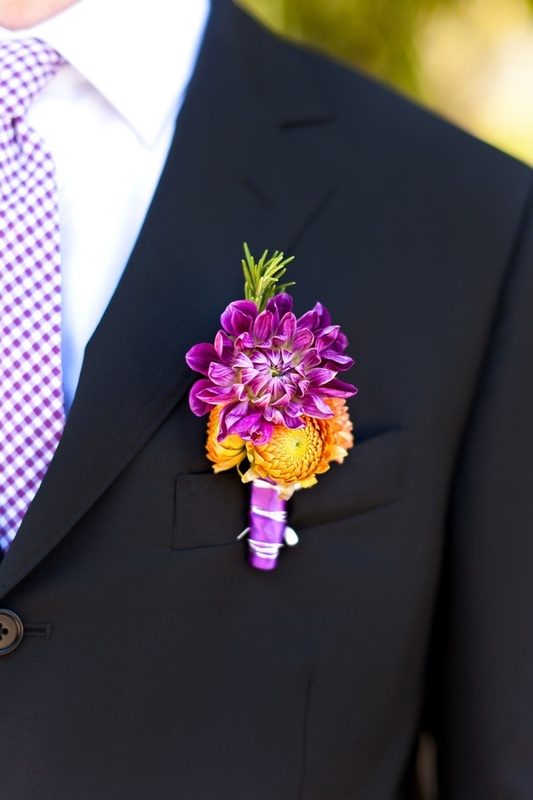 Dahlias come in any color you might want, from purple and lavender to pink to vivid red, yellow and orange. And they come in varying shades, from white and palest pinks, lavenders and yellows to rich bronze, apricot and rose to deep, intense purple, burgundy and red. 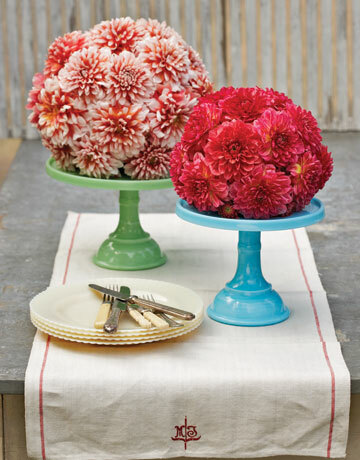 Okay, there aren't any blue dahlias-but there are plenty of dahlia hues that work with blue. 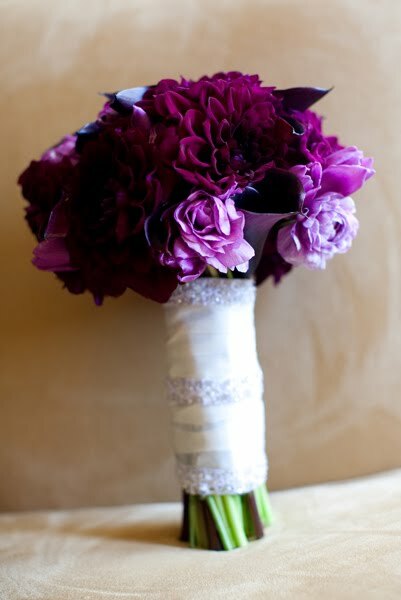 And the wide range of dahlias means you're sure to find just that exact color you want. 4. Dahlias Come in All Sizes, Shapes and Forms. You can buy or grow dahlias small enough for boutonnieres, corsages and flower girl bouquets and, within the same species and color ranges, striking dahlias big enough for massive floral baskets or free-standing bouquets. You can have dahlias for personal flowers, the bride's bouquet, and church or hall and table arrangements, and you can plant dahlia tubers to have colorful, elegant dahlias in pots or flower beds.